"The event brings together filmmakers, artists and creative thinkers." "Get to know NYC's next filmmaking generation at the Bushwick Film Festival." "An opportunity to see amazing films that you won't find in regular U.S. cinemas. 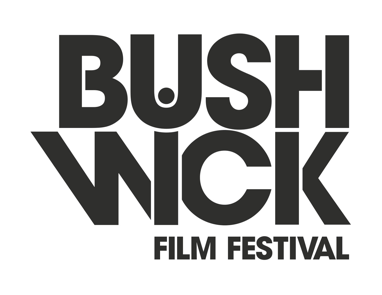 New York, NY - September 20, 2017 - The Bushwick Film Festival (BFF) has officially announced the full program of screenings, panels, workshops, parties and networking opportunities for its 10th anniversary, taking place from October 12th through October 15th. After receiving over 600 submissions, BFF looks forward to supporting and sharing the stories of emerging filmmakers and inspiring the audiences who view their films. For a full schedule of events see below or visit: https://goo.gl/KJc9Fi. Located in Bushwick, the bustling center of Brooklyn's artistic and cultural community, the festival encourages filmmakers, industry professionals and audiences to engage, share and collaborate in an eclectic and open-minded atmosphere to form new alliances, expand horizons and share common passion for independent film. Kicking off on Thursday, October 12th, BFF will celebrate its 10th anniversary with a Red Carpet Reception at House of Yes, featuring the world premiere of In Case of Emergency, directed by Stefanie Sparks. The festivities will continue throughout the weekend with events ranging from feature screenings and short screenings to networking parties and panels. For tickets and passes, please visit: www.bushwickfilmfestival.com. Heidi Ewing: an Academy Award nominee for her 2006 documentary Jesus Camp as well as a co-founder of the production house Loki Films. Sam Pollard: an Academy Award nominee for his film 4 Little Girls, together with Spike Lee he produced and edited HBO's When the Levees Broke: A Requiem in Four Acts and the follow up If God Is Willing and Da Creek Don't Rise. In 2016, BFF welcomed a record 2,700 excited guests to the festival to enjoy indie cinema, share ideas, and connect with diverse groups of people. The festival is looking forward to welcoming even more people this year and celebrating its 10th Anniversary from October 12th-15th. PARTY: TAKEOVR Ladies Nite w/ DJ Scratch Nice. Kweighbaye Kotee is an entrepreneur, filmmaker, writer and TV host. Over the past 10 years she has developed creative ways to use the power of media, culture and arts to bridge communities. In 2007, she founded The Bushwick Film Festival (BFF). The Festival celebrates independent film, provides chances for diverse filmmakers to exhibit their work and creates spaces where audiences can gather and enjoy independent cinema. In 2015, Kotee founded Media Culture & Communications Group (MCCG). MCCG works in tandem with companies and rapidly changing neighborhoods to help open lines of communication and create opportunities that support artistic sustainability and preserve long-standing cultural landscapes in various ways. Dedicated to her community and the arts, she is the Executive Director of two Brooklyn-based non-profit organizations and is a Bushwick Community Board member serving on the Arts & Culture and Land Use Committees. Born in Liberia, she and her family immigrated to the U.S. at the brink of the Liberian Civil war. Kotee attended public school in Newark, NJ where she was awarded a scholarship from the Wight Foundation to attend Blair Academy. She moved on to receive her B.S in Media, Culture and Communications from New York University. Currently Kweighbaye lives in Bushwick, Brooklyn. 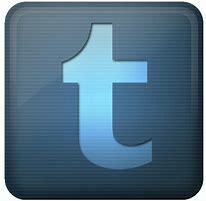 Founded in 2007, The Bushwick Film Festival (BFF) is a leading independent film and media company in Brooklyn. A decade into its mission, BFF is hailed as one of Brooklyn's most influential cinematic events for its contribution to the borough's artistic, cultural, and economic growth. The festival attracts film and entertainment industry leaders at national and international levels and showcases films created by the best emerging independent filmmakers in Brooklyn, including the works of international filmmakers from over 30 different countries. In addition, BFF proudly shines a spotlight on diverse filmmakers. Its mission is to inspire filmmakers to harness the spirit of entrepreneurship, give them a platform to grow an audience, help strengthen their networks, increase their chances to connect with industry professionals, and present them opportunities to make a living doing what they love. Its mission to its audiences is to provide spaces where people from all backgrounds can gather and enjoy new and exciting niche films that are not typically made available and/or accessible to them, along with opportunities to attend educational and cultural events. The festival is looking forward to celebrating its 10th Anniversary from October 12-15.